July 4th is a great time to celebrate freedom and independence of all kinds. Why not make it an occasion to declare your own independence – from tobacco? The federal Centers for Disease Control has made July 4th its focal point for its program on freeing yourself from nicotine addiction. Remember that cigarettes are designed for addiction. The CDC points out that the design and contents of tobacco products make them addictive. These days, cigarettes deliver more nicotine and deliver it more quickly than ever before. Experts now know that nicotine is a highly addictive drug; like heroin or cocaine, it changes the way the brain works and increases cravings.And every cigarette, whether unfiltered, filtered, low tar or not, is equally addictive. Filtered and low-tar cigarettes are equally addictive. Breaking the addiction to nicotine is hard, the CDC says, and some people have to try a few more times than others. But it is possible to kick the habit. An encouraging statistic: More than half of all adults who have ever smoked have quit. It helps to remember all the benefits of quitting smoking: it can improve your health; lower your risk of lung cancer and other kinds of cancer; and reduce the risk for coronary heart disease, stroke, and peripheral vascular disease. Quitting smoking also reduces respiratory symptoms, such as coughing, wheezing, and shortness of breath; and reduces the risk of developing chronic obstructive pulmonary disease (COPD), one of the leading causes of death in the U.S.
Resources are available to help smokers quit. Different treatments work for different people. The most important thing is for smokers to try, try, and try again until they succeed. Smokers can find an effective way to quit. According to the CDC, some ways of quitting are more likely to be successful than others. Quitting “cold turkey” is still the most common way to quit. Smokers who want to increase their chances should consider getting help from other sources. The CDC lists these as “brief clinical interventions,” in which a doctor talks to smokers for about 10 minutes on the danger of smoking. 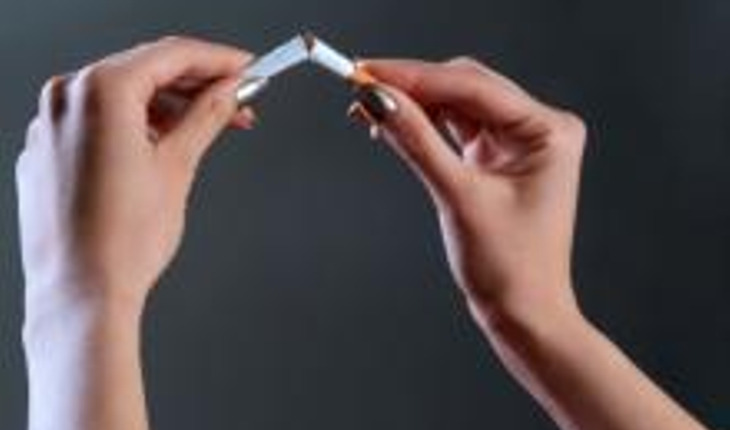 People looking to quit can also take advantage of individual, group or telephone settings; nicotine replacement therapies such as gums and patches; and prescription medications such as such as bupropion SR (Zyban®) or varenicline tartrate (Chantix®). The CDC says that a combination of medication and counseling has been found to be more effective than either medication or counseling alone. If you’re interested in making July 4th your personal Independence Day from tobacco, visit SmokeFree.gov or call 1-800-QUIT-NOW (1-800-784-8669).